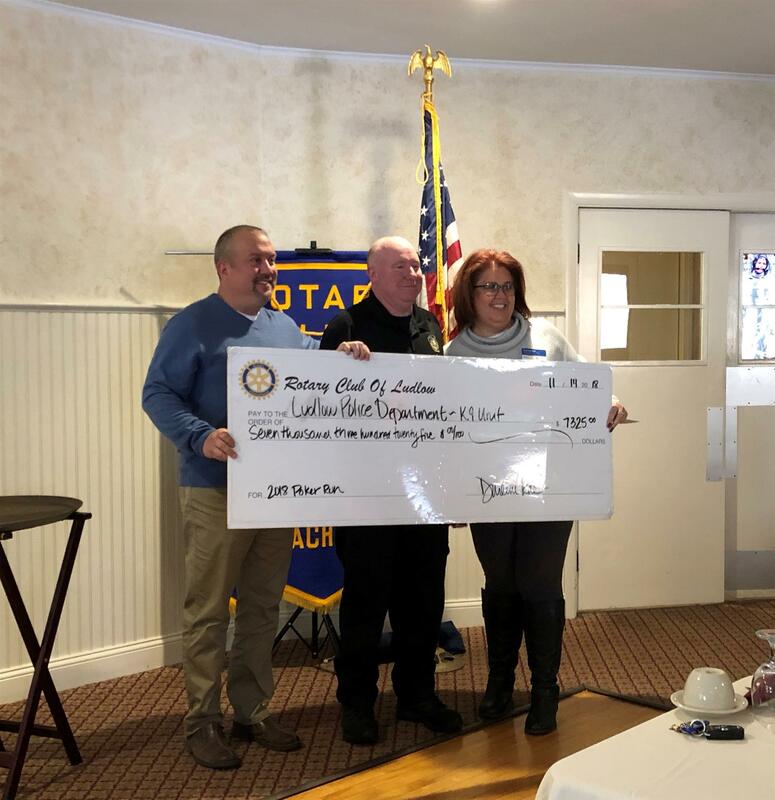 Thanks to everyone who came out to support our 13th Annual Poker Run on Sept 22nd, the Ludlow Rotary was honored to present Officer Mike Whitney from the Ludlow Police Department with a check for $7325! A special thank you to our event chairs Darlene Rae & Kevin Vestal for organizing this incredible event once again. A special thanks also to Officers Mike Whitney and Max for their commitment to keeping our community safe!